The National Conference on Race and Ethnicity in American Higher Education (NCORE) is an annual conference that builds a community of inclusion; it is also a place for building skills, alliance, and knowledge about issues of race and ethnicity in Higher Education. NCORE constitutes the leading and most comprehensive national forum on issues of race and ethnicity in American higher education. The conference focuses on the complex task of creating and sustaining comprehensive institutional change designed to improve racial and ethnic relations on campus and to expand opportunities for educational access and success by culturally diverse, traditionally underrepresented populations. 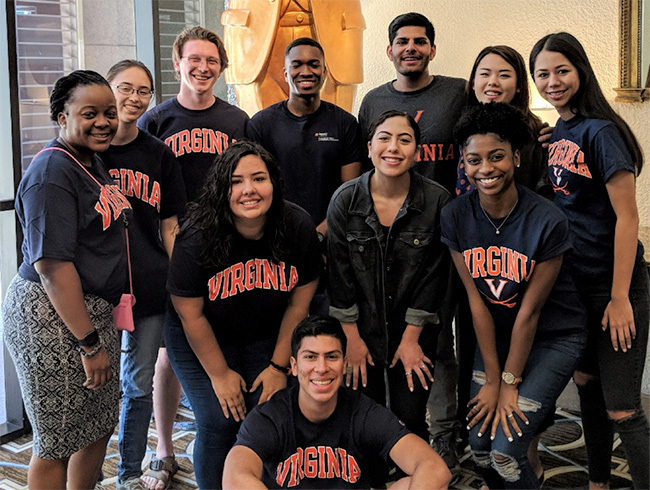 UVA began sending a student cohort to the annual national conference in 2017 with the purpose of exposing students to in-depth conversations and learning opportunities specific to race and ethnicity. Participation contributes to students’ personal and professional development, and equips the UVA community with a cadre of students whose NCORE experience will deepen academic, intellectual, and social discourse on matters of race and ethnicity. As a requirement of NCORE attendance, each student develops and implements an on-grounds program, activity or initiative tailored to the particular needs of UVA. Must be enrolled full-time at the time of application and the following academic year. Participate fully in conference sessions and planned group meetings. Assist in the publicity and recruitment process for future NCORE attendees. Registration, travel, and accommodations fully covered by the Office of the Provost. Students are responsible for all other travel-related expenses. Students will be placed in shared, gender-inclusive, room assignments. This APPLICATION is for undergraduates only. Please direct questions to the attention of Vicki Gist, Assistant Dean of Students, via email at multicultural@virginia.edu with subject line NCORE 2019. There is a separate application process for graduate students. ​More information for graduate students interested in attending NCORE can be found here. Please note that this application is for UVA students only, and attendance is sponsored by UVA’s Office of the Provost. The UVA application process is separate and apart from the NCORE-run student scholarship program.